A two-car squad of Lotus Evora GT4 cars is to be fielded in the Avon Tyres British GT Championship by a works-backed team, it was confirmed today. The machines will be entered under the Lotus Sport UK banner, and one of them will be raced by Porsche champion Ollie Jackson. Motorsport group CM Consolidated, a recent investor in well-known paddock names such as Showtrax, Corbeau and Luke Harnesses, is behind the new team. Former BTCC and Le Mans racer Gary Ayles is to manage the squad. 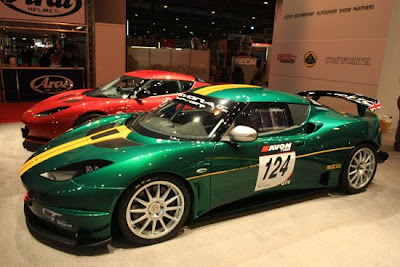 CMC has signed a long-term agreement with Lotus Motorsport and will enjoy partner status with the Norfolk-based supercar manufacturer. In addition to the two-car assault on British GT, Lotus Sport UK hopes also to take part in some rounds of the FIA GT4 European Cup. British GT, the opening round of which takes place at Oulton Park on Easter Monday (25 Apr) is sponsored by UK tyre manufacturer Avon Tyres and is further supported by Sunoco Racing Fuels, Anglo American Oil Company and OAMPS. I did not know there was this center for Hankook Tyres which was giving all sorts of car services in reasonable cost. Last Wednesday I went there with my son to replace my tyres with a new one. Their service is just amazing.